Intermountain healthcare, a longtime health IT leader, is consolidating revenue cycle functions -- totaling $5 billion in annual gross patient revenue -- across its 22 hospitals and more than 100 physician clinics. Todd Craghead, Intermountain's vice president of revenue cycle organization, has been at the forefront of integrating revenue cycle for a large health system. 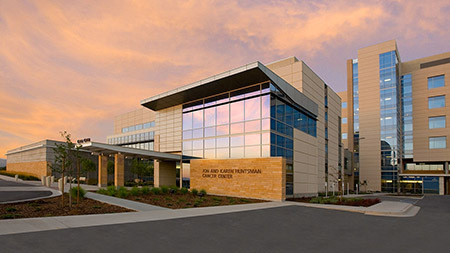 Ten years ago, Craghead, who oversees $5 billion in annual gross patient revenue for the Salt Lake City-based health system, began consolidating revenue cycle functions across 22 hospitals and more than 100 physician clinics. "We had a system that was fairly decentralized," he said. "One of the things that was apparent was the pressure on administrative costs to the health system. One of the things I was asked to do was to develop a more consolidated approach. Without standardization, there was a wide variation in practices. Each individual hospital had a director who reported to the CFO. That model, was "tipped on its head," Craghead said. "We looked at those directors and went through a process of their areas of passion. One took accountability across the entire system, another patient access -- we switched over to a subset of areas." It was challenging, he said. Revenue cycle directors were used to dealing with an individual hospital's accounts receivables balance, or with payers who were not paying, and could use the resources to try and solve those issues. Now these efforts were being redirected. "It was difficult, folks were used to having control over resources," he said. "We had a process across a group of hospitals that were operating more or less independently in this area." Staffing levels were also reduced. "We continue to see reductions in staffing levels in this environment," he said. "We're better able to leverage standardized workflow tools to manage productivity. It was very instrumental in understanding what staff was needed to do the work." Across the system, Intermountain has A/R days in a very reasonable range; denial rates are half a percent, Craghead said. "A centralized appeals team have kept our denial rates low, some of the lowest I've seen in the country," he said. Craghead, who will discuss the process of how he centralized revenue cycle during the Healthcare Finance Revenue Cycle Solutions Summit on Dec. 8 in Atlanta, has also changed the reporting relationship with the business office. "Organizationally, we identified functions that made sense to be managed together," he said. The registration area, and pre-registration and insurance verification were organized into a hierarchy, he said. "Executives who had accountability across functions all report directly through one revenue cycle executive on my team, and he has a director who focuses on pre-registration and scheduling functions," Craghead said. There are four regional office locations where the business office functions are performed. "Likewise they report to a single executive on my team," he said. Ten years later, "There are still opportunities for improvement," he said. The next challenge is price transparency and patient engagement. Pre-registration can already be done online at Intermountain, and when patients arrive at many locations, they have access to kiosks that have an automated system, Craghead said. Or they can still speak to a staff member. "Price transparency and price estimating I think it's been a very challenging topic of the industry to tackle as a whole," he said. "It may be around sensitivity to payer-based contracts, to estimate out- of-pocket costs, which may be different than what they pay for a particular service." Providers have the problem of being able to understand where the patient is in the benefit structure, such as what they're paying for a deductible. "If I can't clearly understand that information," he said, "then we miscalculate out-of-pocket costs." Patients are also taking a more proactive approach as they pay a greater share of their healthcare costs. "I think it's going to continue to be a challenge for health systems to estimate what the patient might be expected to pay for a service," he said. "I believe the payers need to take a more active role than they have in the past, to provide an estimate to members." Intermountain has a health plan as part of its network that has been a good test of the function between provider and payer. "I think we've had interesting outcomes," he said. "How to integrate provider and payer when you're one company as we are." This story first appeared on Healthcare Finance.